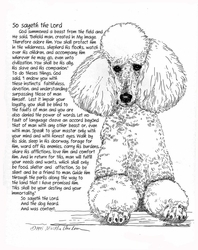 Home > Non Sporting Group > Poodle - Standard "So Sayeth"
The Standard White Poodle. 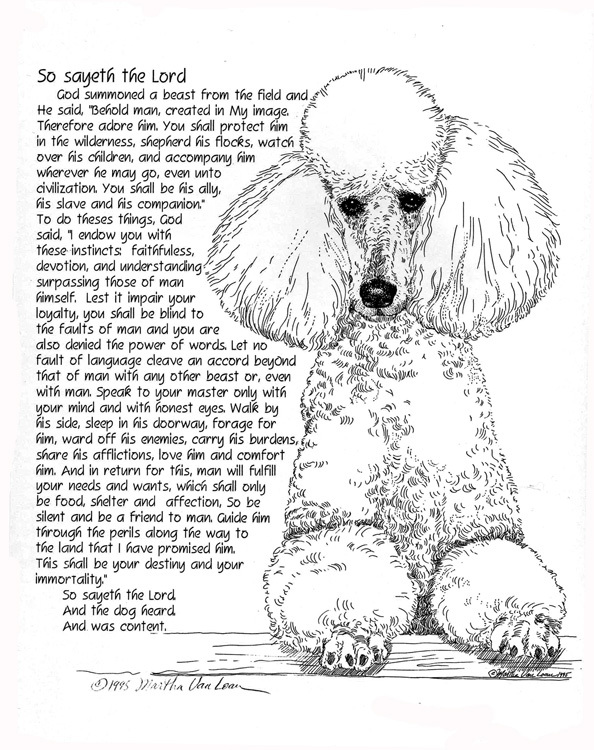 A verse written by the Benedictine Monks with a Standard Poodle trimmed down. The This is a Limited Edition Print by Martha Van Loan, signed and serially numbered. The image size of this print is 11"x14" and it will fit into a standard 16"x20" mat and Frame which we have available in our Framing section to make this a special gift.